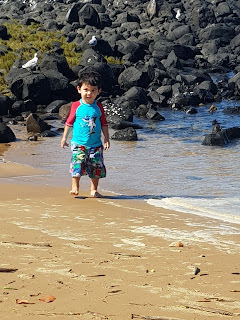 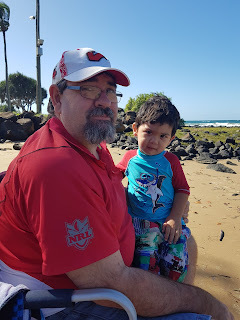 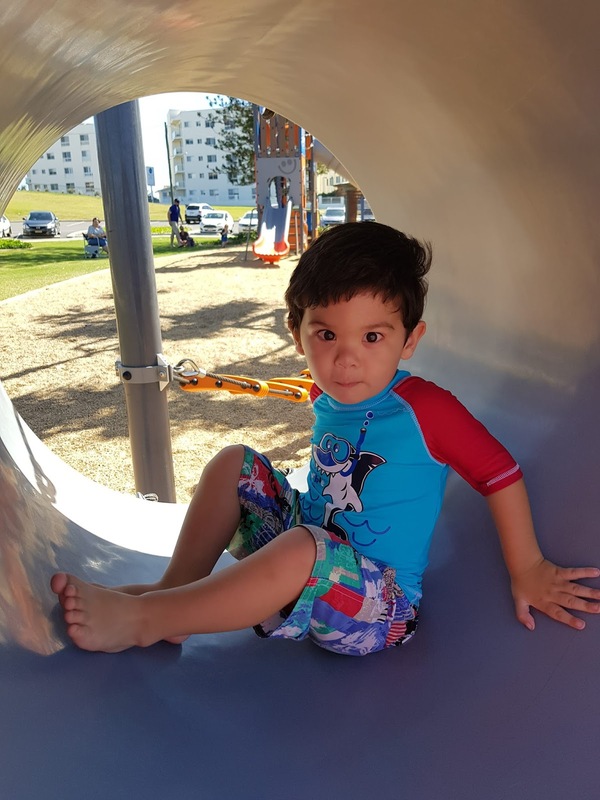 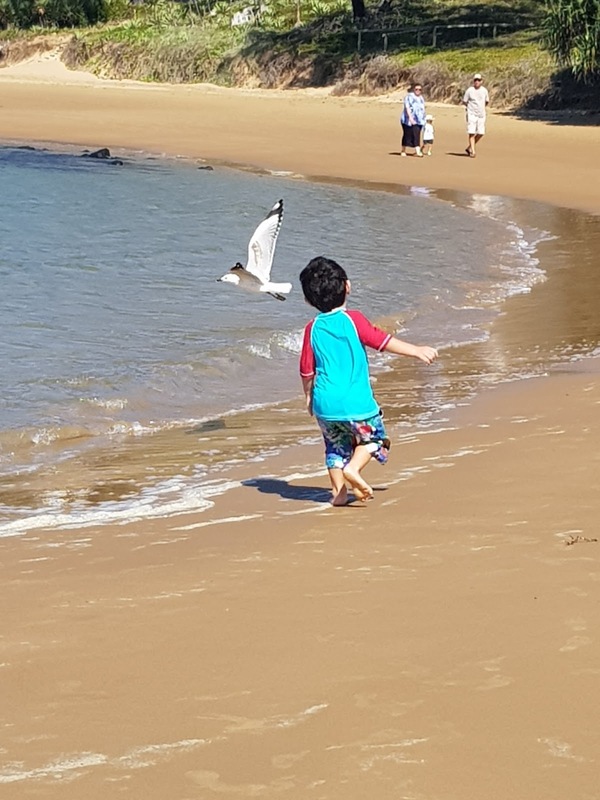 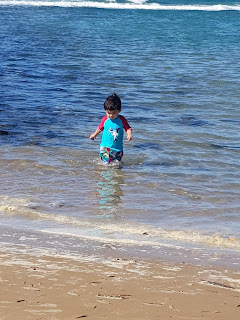 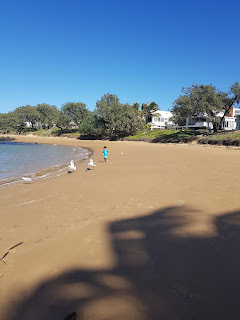 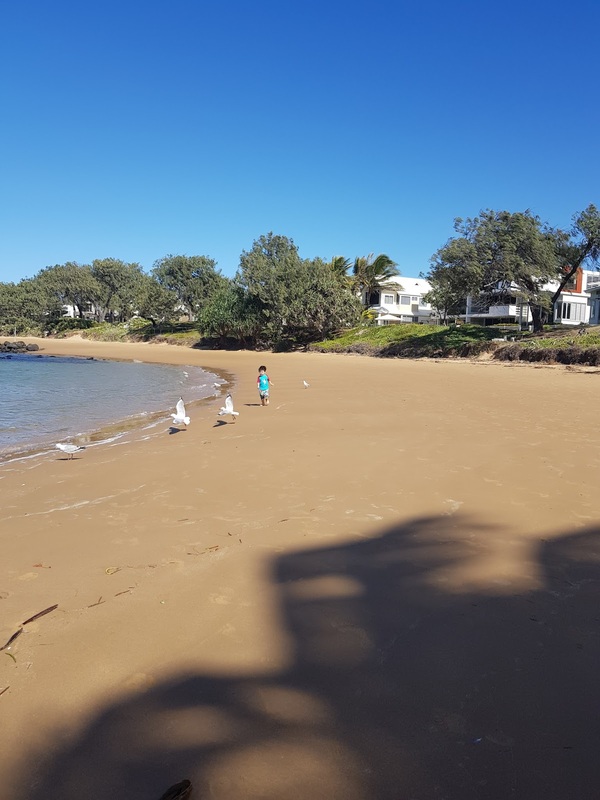 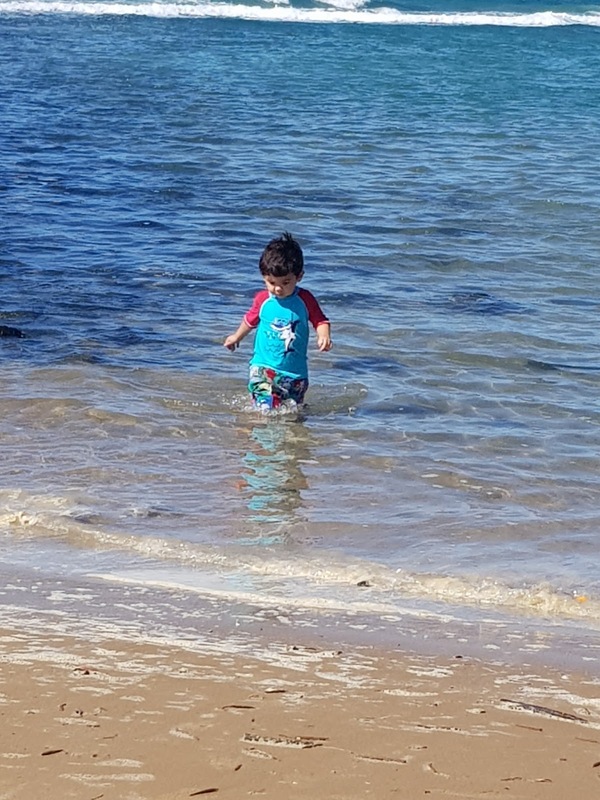 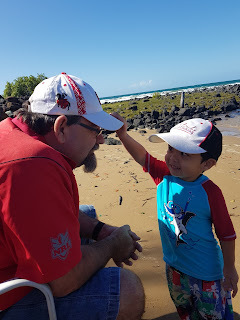 We enjoyed another lovely morning for our Family Funday Sunday :) We asked Clay what adventure he wanted and he asked for the beach - so we headed to The Basin. 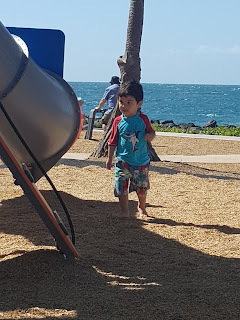 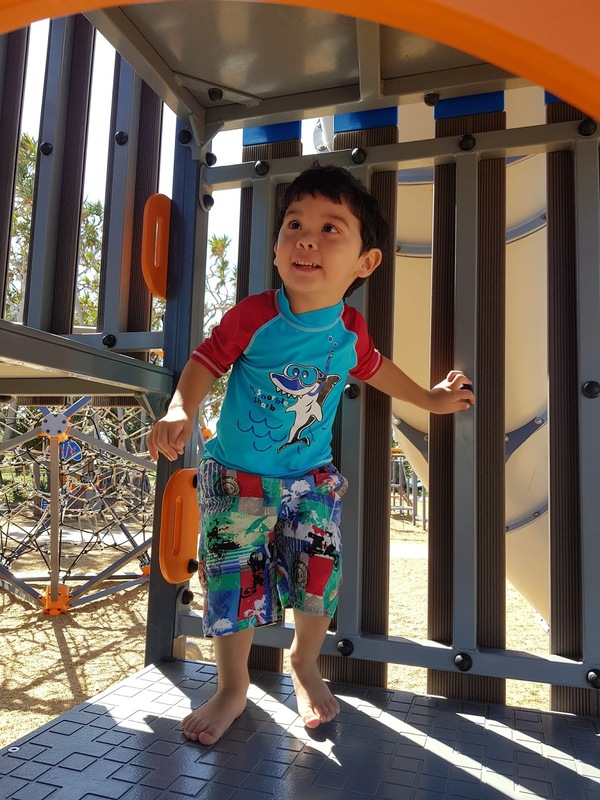 It was a bit cool and windy, but Clay waded in the water for a bit, but then was happy to chase seagulls LOL Afterwards we walked across to the park and Clay buzzed around playing in the playgrounds. 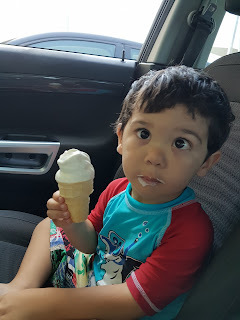 We finished up our wonderful morn8ng with an ice cream. How fun! 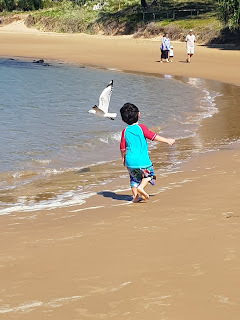 Being that age, a trip to the beach -- with ice cream! 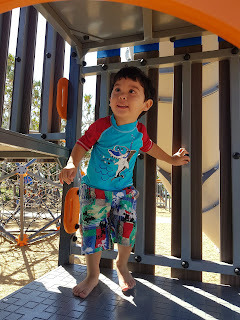 -- is wonderful. So happy you indulged the little guy.